Finally it looks like we have a couple of days break from the SW storms that have been lashing the South Coast for the past two weeks. According to the channel buoys, Christmas Eve had the biggest seas in years with waves of 6.7m constantly, with some being over 10m. The largest recording for the past two years has been 5.5m constant waves. There was a short break on Boxing day, but hardly anyone went out. 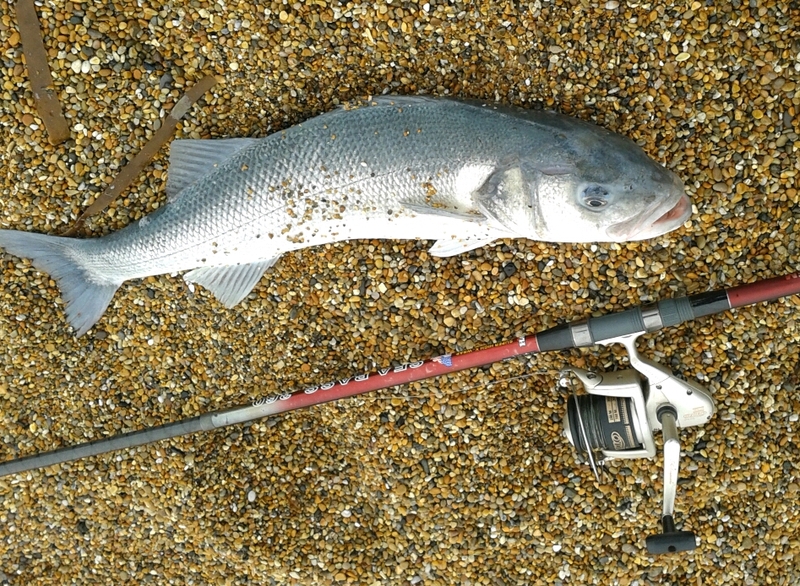 I only seen one person fish the Portland end of Chesil and all he managed was Pout and Dogfish. A few more fished out towards Abbotsbury and West Bexington, where again it was mainly Pout and Dogfish, though I heard of a 1 1/2lb Bass. I am just getting ready to go out for my first session in almost a week. I am hoping that the conditions on Chesil will be perfect. It is still a bit rough, but just fishable, with a lot of colour in the water. The first hour or so might be a bit of a struggle, with the long surf run off, but the later in the day it gets, the easier it will be to fish. I will give live updates on Facebook, as conditions change. My biggest problem today is bait. We only have 3/4lb of lugworm between two of us. We have off course got Ragworm and Squid, but no Peeler Crab. Lets hope the Cod are hungry for anything. I know the forecasts have been a bit more spaced out than normal, but things should get back to normal again now. I will be doing a live Hangout on air again and hopefully this time the technical problems will be resolved. I am hoping that will be tomorrow. Keep an eye on my Google+ page for updates on that. I also have a couple of very good articles that I will put up over the next couple of days. One is a lovely fishing mark down in Cornwall and the other is from Professional Photographer Gavin Parsons. Chesil Beach forecast: I would like to think that the fish will be crammed with Cod today, but given the past few weeks catch figures, it is highly unlikely. There will be a few around, but it is most likely going to be Pout and Dogfish, but as they say you need to be in it to win it. So I will be heading there this morning in the hope of catching something nice. Even if it does turn out jus to be Dogfish and Pout, I will at least be out enjoying myself. As usual in these conditions big baits rule. Live Peeler if you can get it is the number one bait. Getting it is a major problem, with none of the bait suppliers able to get any. Lugworm and squid cocktails are next on my list. Portland: With dirty water the Wrasse and Pollock fishing will be very poor. The best hope on Portland is for a Bull Huss. However you never know what Church Ope Cove will throw up. Portland Harbour: A few small Bass and plenty of Flounder are showing in the harbour. Sandsfoot Castle is producing lots of Flounder, but it is now difficult to access since the steps have been removed. You have to walk round from the sailing club and under the castle. On larger tides you will be cut of for a couple of hours, so make sure you plan that in to your trip if you are going to fish this mark. 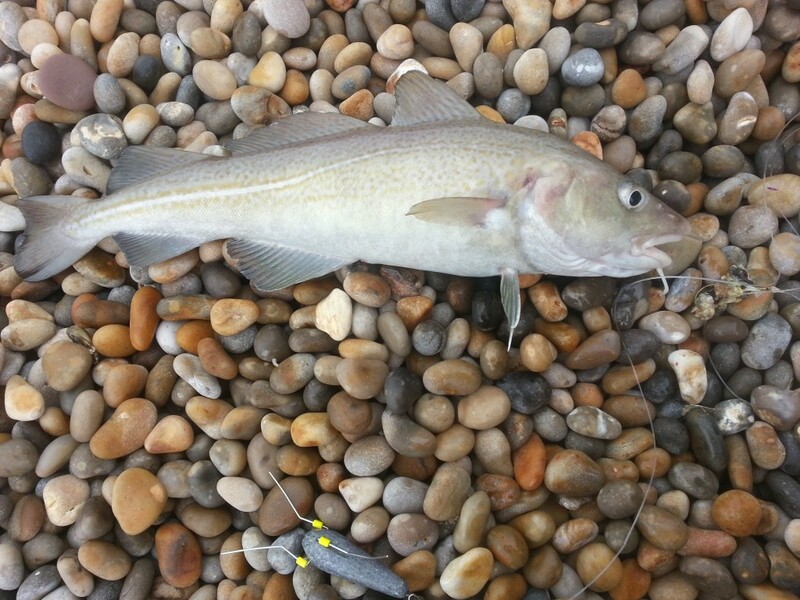 Weymouth Bay: Preston Beach continues to produce all sorts of fish including Rays, Whiting and Bass. Stone Pier is fishing better than the Pleasure Pier due to the fresh water coming out of the harbour.